Tasty pies and spiced lattes aside, pumpkins pack more than just a festive punch. Pumpkins are loaded with powerful antioxidants—namely vitamins A, B and C—that increase cell turnover and give skin a smooth, radiant luster. Pumpkin enzymes help not only banish dull skin but also open the door for a burst of anti-aging and hydrating botanicals to protect and nourish skin. Add to that the merry aromas of holiday spice, and all your senses come to the table. Get on board with this seasonal gourd. Here are the many skin benefits of pumpkin. Pumpkins contain enzymes that when applied topically, loosen the bonds that keep dulling dead skin cells clinging to the surface. This gentle and aromatic exfoliation helps detoxify the skin and allow for deeper penetration of the nourishing botanicals that pumpkin also contains. Not quite as aggressive as a chemical peel, a pumpkin peel can come in varying strengths and is usually appropriate for all skin types. Here at Pure Vanity, we use a gentle pumpkin enzyme peel as part of our four-layer facial for maximum benefits. Alpha-carotene, beta-carotene and other carotenoids (a form of vitamin A) found in the bright orange pulp of pumpkins protect skin cells from damage caused by free radicals. Free radicals break down skin-plumping collagen and elastin and lead to the telltale signs of aging. Over time, this causes poor skin tone and the acceleration of wrinkle formation. As an antioxidant, carotenoids in pumpkin help combat this cellular damage. In fact, the Global Healing Center says that carotenoids may also help combat tumor development and boost immunity. Pumpkin is an excellent source of rich minerals including copper and zinc. Copper plays a major role in melanin production. Melanin is a pigment that we all know too well can lead to hyperpigmentation, aka, brown spots or age spots. Pumpkin helps fade brown spots left behind by acne and sun damage. Zinc is linked to the regulation of oil production. Pumpkin seeds contain zinc, which assists in the repair of inflamed tissues, such as pimples, rashes and sunburns. 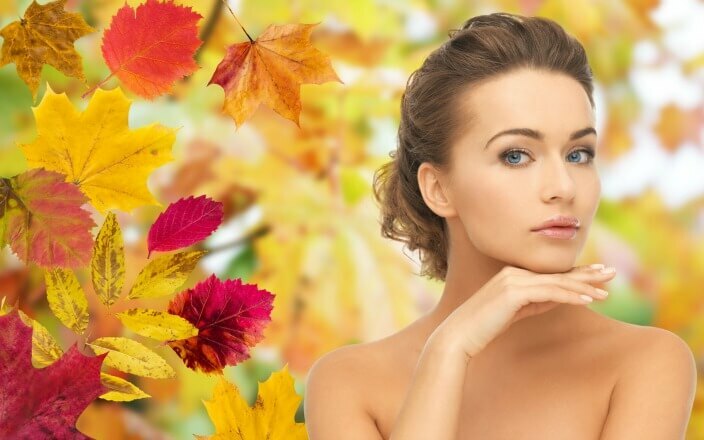 So have that extra helping of pumpkin pie and visit Pure Vanity Spa for the seasonal treat of a pumpkin facial. Give us a call at (480) 419-8267 to schedule your treatment today!